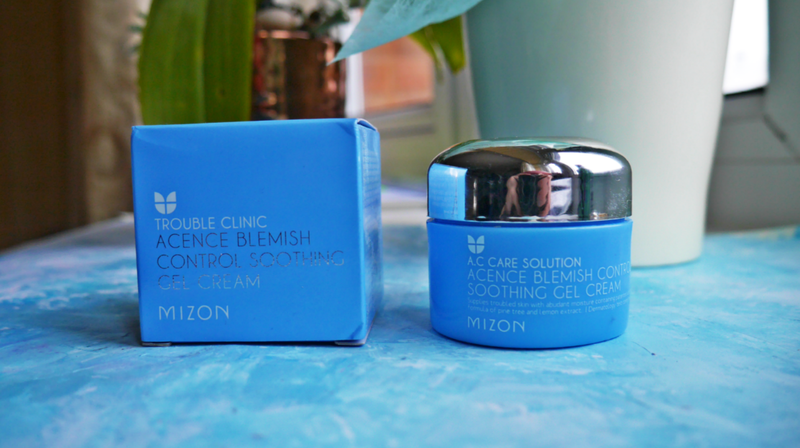 I have tried MIZON products in the past and adored them. (Check out my review on SNAIL RECOVERY GEL CREAM and Trouble Clinic Acence Blemish Out Pink Spot if you haven't already~ ^^). Pink Spot is one of my favourites, so I thought that I'd try out other products in the Acence line. 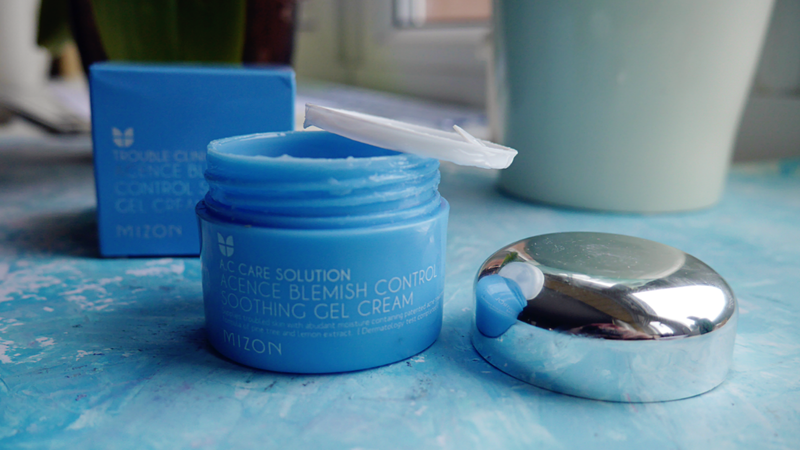 The Blemish Control Soothing Gel Cream is the first Mizon product I am disappointed with. "A oil-free gel moisturiser that balances oil production and hydrates skin all at once. This soothing cream alleviates blemishes and prevents new ones with it patented ACNATURAL formula. It absorbs easily without stickiness while it forms a skin-protecting film that prevents more skin trouble. Benefits: Acne Care, Oil Control, Nourishes, Brightens"
^NOOOPE, a little, NO and NO. Sleek packaging; great colour combination, reminds me of a dermatologist for some reason. It has a second inner lid, but despite that, the content still leaks due to its extremely running consistency. As you can seen in the photo above. It does apply onto the skin nicely and control oils. Theres a really nice cooling/soothing sensation when you apply it, but too bad the amount of alcohol cancels out any soothing benefits it has to offer. It also leaves a really thin film, almost like a barrier - same as sleeping packs. The more I used the gel, more redness in my skin appeared. This annoyed me because it took me ages to reduce the redness in my horrible skin. Not to mention this broke me out rather than controlling and preventing blemishes. This product irritated my skin that to the point I am now back on acne medication! Frustrating or what?! Due to my experiences, I would not recommend this anyone. I don't see why rational person would want to purchase a pricey product that contains a lot of alcohol and breaks you out when you want rid them. A standard moisturiser would have probably gave you better results. Thank you for the review! I would have been tempted to purchase this product because of the brand and I really liked their spot treatment. :/ oh wow... too bad it didnt work. hearing about the packaging was already bad enough..
thanks for the review, i was so tempted to purchase this cos i had such good experiences with the snail cream! Most martial arts do not allow practitioners to wear footwear during training. Although there are some very good reasons for this, there are also four compelling reasons why it is a good idea to at least spend a little time training whilst wearing martial arts shoes.